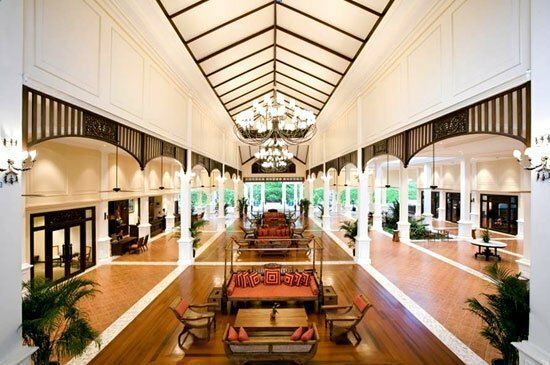 Sofitel Krabi Phokeethra Golf & Spa Resort is delighted to announce the completion of renovation work that will make life at the luxurious five-star resort even more magnifique. The renowned Maya Restaurant recently reopened having undergone a comprehensive interior design makeover. The popular all day dining venue now features an open kitchen and a new food service concept with the focus on live stations. Guests can choose from a wide variety of local and international cuisines prepared a la minute by talented chefs. Open from 6:30 a.m. to 10:30 p.m., guests can dine in an air-conditioned room or alfresco on the terrace. They can start their day with a delicious international buffet breakfast, and savour dishes from a lunch and dinner time a la carte menu complemented by wines from the outstanding wine list. Rooms and Suites at Sofitel Krabi Phokeethra Golf & Spa Resort feature new wooden desks and chairs, 48” flat screen LED TVs, and the signature MyBed by Sofitel with a pillow menu, allowing guests to enjoy a restful night’s sleep. Ongoing work to guestrooms will include renewing all wooden balconies. The resort’s luxurious personal sanctuary, So SPA with L’Occitane, has benefitted from new teakwood décor and tiles, and the lobby and communal areas has also been refurbished. Members of Sofitel Krabi Phokeethra Golf & Spa Resort have been given a makeover with fresh new-look uniform in a distinctive Thai style. In the near future the guest experience at Sofitel Krabi Phokeethra Golf & Spa Resort will be elevated by the opening of a new Executive Lounge with a Sofitel Club Millésime next to the lobby area. Embracing a unique French-inspired Art de Recevoir concept, the exclusive Executive Lounge will provide discerning guests staying in Suites and Executive rooms with special privileges to ensure an even more luxurious and magnifique stay. The new Executive rooms will offer a range of superior services and facilities, enhancing every moment with plaisir, bien-être and elegance through thoughtful extras and attention to detail. Over the coming months, Sofitel Krabi Phokeethra Golf & Spa Resort is also committed to the further renovation and refurbishment of its Italian restaurant, Venezia, and the Thai and Indian restaurant, White Lotus.